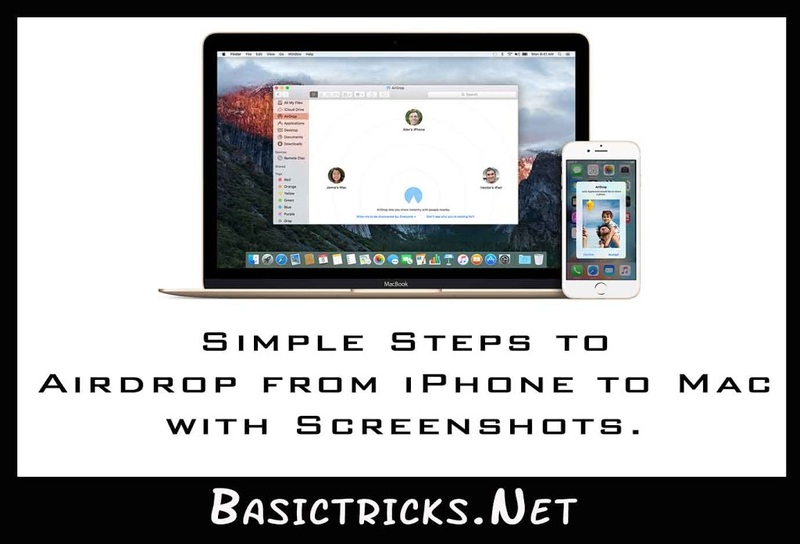 Simple Steps to Airdrop from iPhone to Mac with Screenshots. 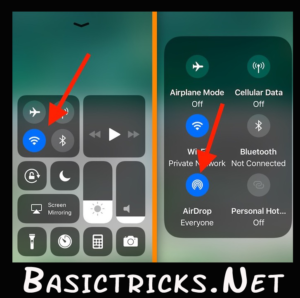 Are you Searching for How to Airdrop from iPhone to Mac??? & How to Use Airdrop from iPhone to Mac?? Even I have faced the same problem in transferring Photos from my iPhone to Mac same as you, right now. I have tried all the methods and found that Airdrop is the best option to do it. Moreover, it is too fast and the easiest way to transfer files from iPhone to Mac. 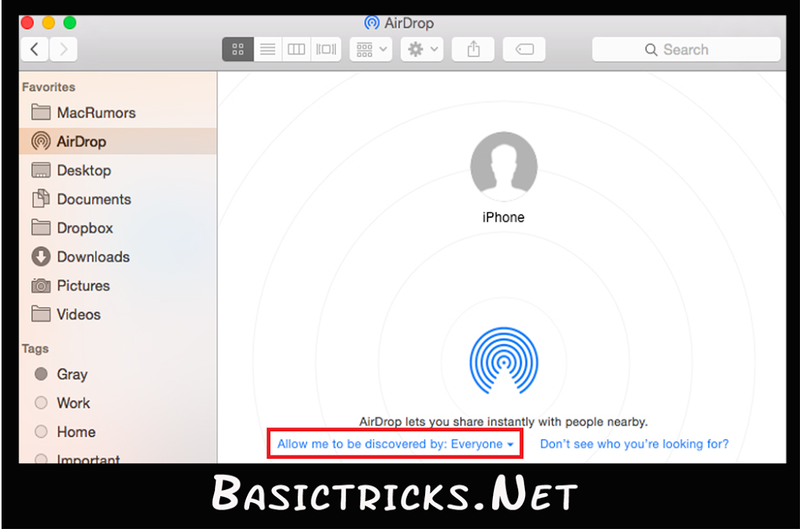 So today in this article I’m going to show the exact steps to Transfer files from iPhone to mac using Airdrop. People have some doubts like “Can you Airdrop from iPhone to Mac??”. So today I’m going to Clear all those doubts in this article. Let’s begin the tutorial right now. Airdrop between iPhone and Mac is easy and simple. We can directly transfer the Photos & Videos from iPhone to Mac. 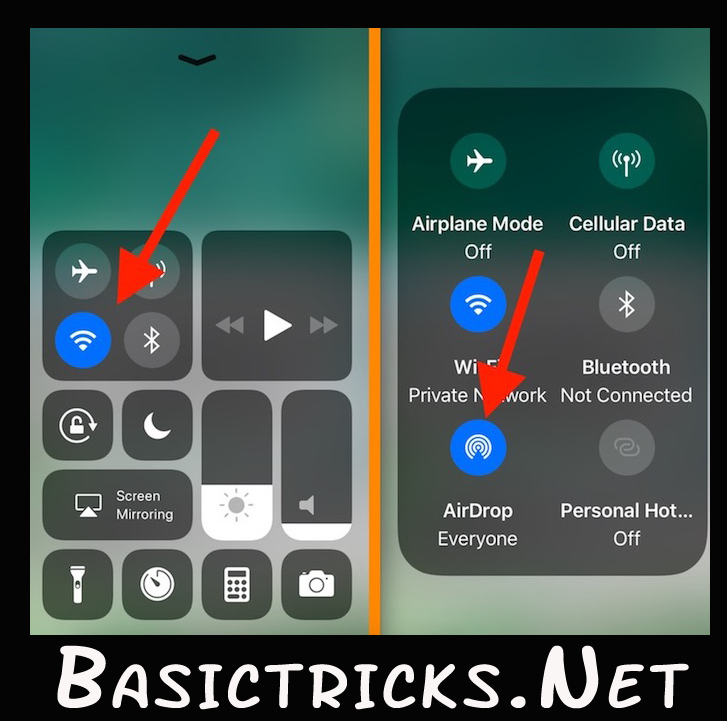 We must keep in mind that Once we Establish a Connection between iPhone and Mac Using Airdrop then we can transfer both the ways like Airdrop iPhone to Mac & Airdrop Mac to iPhone. Before we begin, I want to tell you one thing. If you face any problem in doing the process please try to Comment below. Anyone among our team will help you shortly. In this step, we should turn on the airdrop on iPhone. Follow the below steps to turn it on. Swipe Up from the Bottom of your iPhone Screen to Open control center of iPhone. Long Press on the Square which is shown in the figure below. A window will pop up and you will see an Airdrop Option there. Click on it to Turn it On. In this Step, I will show the steps to turn on Airdrop on Mac. Open the Finder Widow and choose Airdrop from the sidebar. Now check the option called ” Allow me to be discovered by”. In this Section, we have 2 options as “Everyone or Contacts Only” Choose the best suits you. Please keep the Finder Windows Open as it enables the Airdrop. In this step, we will connect the iPhone and Mac with Airdrop. After completing the above two steps properly. We will see the Mac/User id on your iPhone to connect. Click on it. It will establish the connection between iPhone and Mac. We are almost at the end of the process. Now you are all set with the connection between iPhone and Mac. Now you can transfer anything which you need from iPhone to Mac. These are the 4 simple steps which we should do for Airdrop iPhone to Mac. Just follow them accordingly. It will be successful to connect Airdrop iPhone to Mac and use it. If you face any problem in doing the above steps feel free to contact us. We will assist you to solve your problem. Like the article and share with our friends & family at social media networks. What is AR And Why is it Everywhere? How to Recover Permanently Deleted Files in Windows Pc/8/8.1/7.